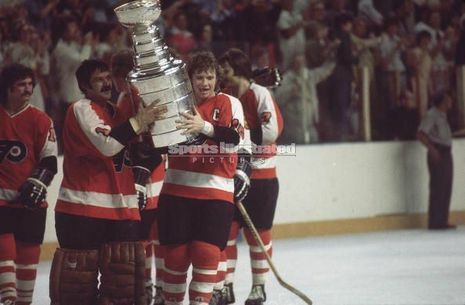 The 1975 Stanley Cup Final championship series was played by the Buffalo Sabres, making their first Finals appearance and the defending champion Philadelphia Flyers. The Flyers would win the best-of-seven series four games to two. This was the first Final to have two non-"Original Six" teams since the 1967 expansion. 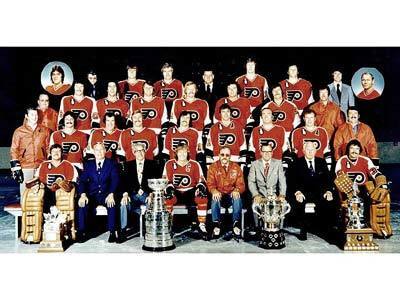 As of 2009, the 1975 Flyers are the last Stanley Cup championship team to be comprised solely of Canadian-born players. Buffalo defeated the Chicago Black Hawks 4–1 and the Montreal Canadiens 4–2 to advance to the final. Philadelphia defeated the Toronto Maple Leafs 4–0 and the New York Islanders 4–3 to make it to the final. Bernie Parent led the Flyers, allowing only 12 goals in the six games, capped with a shutout. He became the first player to win the Conn Smythe Trophy for two consecutive years. Since then, only Mario Lemieux has managed to duplicate this feat. This championship is especially noted because it is the last repeat major professional championship for the city of Philadelphia. The 1975 Stanley Cup playoffs marked the first time two expansion teams met in the finals. 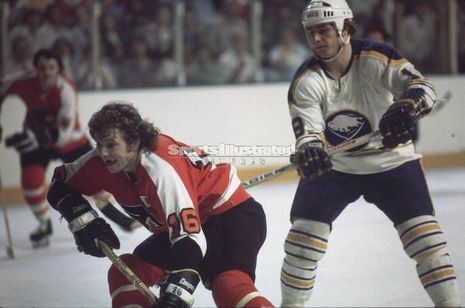 The Philadelphia Flyers handed the Buffalo Sabres their first Stanley Cup Final loss in only the Sabres fifth NHL season. Flyers goaltender and two-time Conn Smythe winner Bernie Parent was again remarkable. He held the Sabres to just 12 goals in six games and ended the series his sixth post-season shutout. Hart Trophy winner Bobby Clarke scored 16 points, captaining the Flyers to their second straight Stanley Cup.